The butcher Leigh James started his long association with Bath Road at these premises. He was here until 1905, when he moved four doors away to 160 Bath Road, where he remained until his death in 1949. The occupants here for the next seven years were Messrs Knight for 1 year, Hill for 2 or 3 and Lucas until 1913. Just prior to the start of the Great War, Master baker William Augustus Rolfe moved his baker’s shop from Suffolk Road to the main shopping street. He owned the whole property but let part of it as a lock-up. (This lock-up eventually became number 33 Upper Bath Road). William Rolfe was a very tall thin man with a walrus-type moustache. By contrast his wife Ellen was a large lady. Mr Rolfe baked his bread in the bakery at the rear of the shop in the coke-powered double oven. The oven was kept going twenty-four hours a day. No wonder Mr Rolfe was often to be seen at the doorway of the shop cooling off! He took that opportunity to chat to people as they passed and would also keep a look-out for the children crossing the road from nearby St James’s school – a sort of unofficial lollipop man. His shop was quite narrow but always clean even if he was always covered in flour! In the window of the shop was a white marble display area. There was a blind inside the window which was pulled down at the close of trading which was sometimes as late as 9 o’clock in the evening. The door to the shop was a stable type door. The bottom half was made of wood and the top of glass and this was shuttered when the shop was closed. The dough for the bread was made during the evening and allowed to rise overnight for baking very early the next morning. If more bread was required quickly during the day a fast dough was prepared using twice the amount of yeast. Although Mr Rolfe usually only baked bread he also made a lovely dough cake which always sold out very quickly. This was a bread dough with fat, fruit and sugar and baked in loaf tins. Any bread left over was sold off cheaply the next morning and on Saturdays was taken to Nazereth House. Mr Rolfe had other bakers working for him. Tom Margetts was one who worked at the bakery for many years. When Mrs Rolfe became ill, William’s niece, Babs, came to help out in the shop. She continued to live there and help out after her aunt’s death. William died at his Bath Road home on December 27th 1962. This shop, the living area and the next door lock-up were sold to Mr H A Crawford and after extensive alterations when the two shops were knocked into one, it became W Robb (Cheltenham) Ltd selling electrical appliances and photographic equipment. They also had a shop in Winchcombe Street and like Mr Rolfe, had also previously been at nearby Suffolk Road. 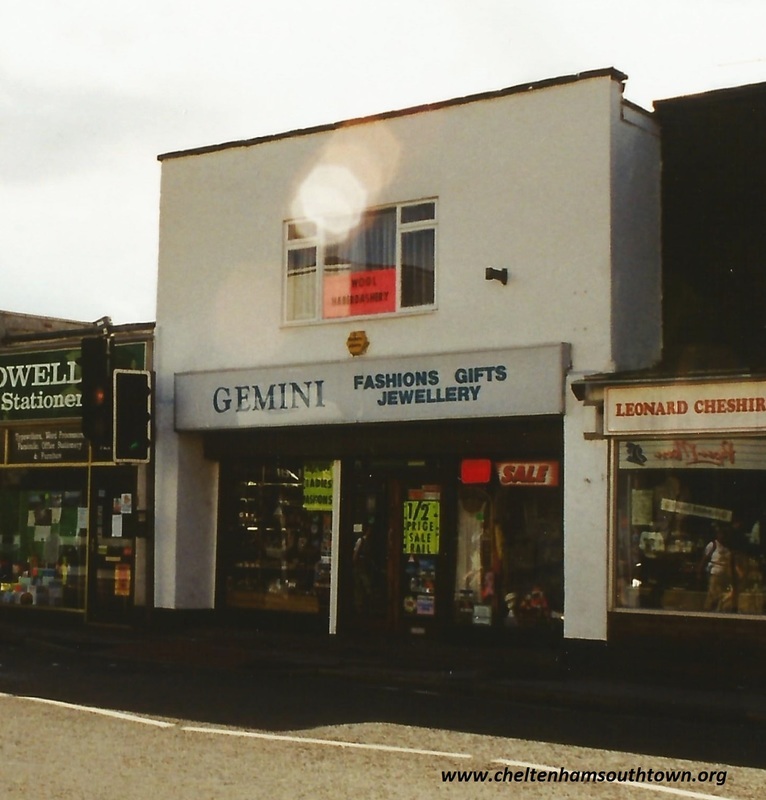 In 1985 the two shops belonging to Mr and Mrs Vernon Screaton, Gemini and Gemini II, were transferred from the premises in Shurdington Road and 224 Bath Road to these much larger premises. A large stock of clothes, fancy goods and haberdashery were available there. Mr Screaton and his wife, Betty, both worked in the shop along with several other ladies who worked on a part-time basis. In February 1999 the Screatons decided to take a well earned retirement after selling fashions and fancy goods to Bath Road shoppers for a quarter of a century. 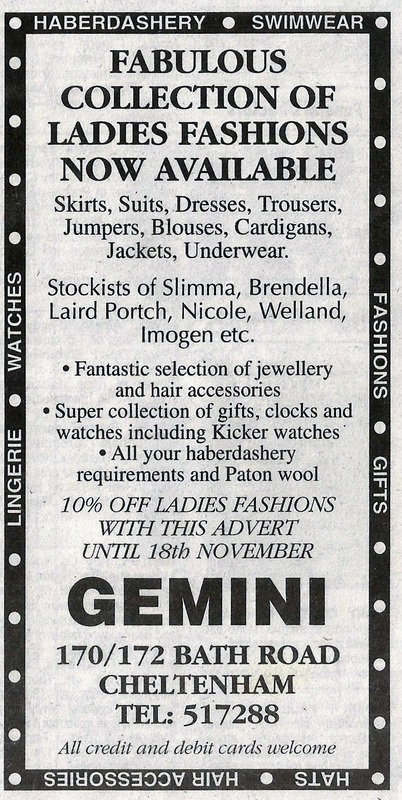 The shop was then completely re-furbished by the greengrocery chain of Stokes and opened for business in March 1999. 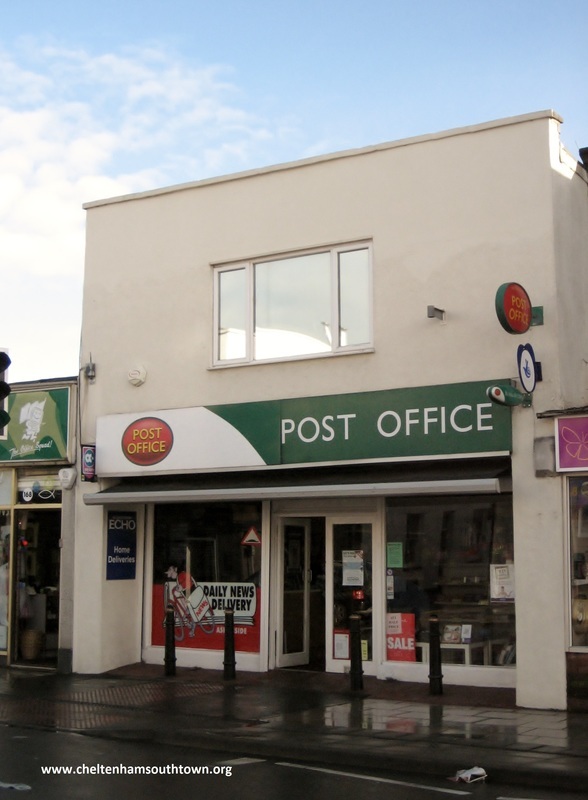 It is now the Post Office (occupying 170-172 Bath Road).